Prime View International of Taiwan has just secured its position as the leading manufacturer of e-paper screens by purcashing the MIT spin-off E Ink. E Ink already partnered with PVI to provide displays for electronic books including the Sony Reader and the Amazon Kindle 2 and Kindle DX. The $215 million (£130 million) deal will leave PVI as by far the world's highest volume supplier of electronic paper display modules, which are notable for their low power use, high clarity and contrast, as well giving it a healthy portfolio of imaging patents. E Ink and PVI already support nearly 20 e-book manufacturers worldwide. 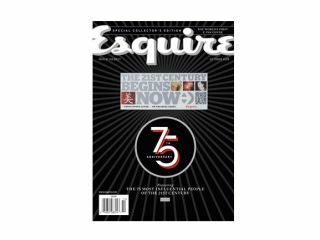 E Ink's Vizplex imaging film is also used in mobiles phones, signage, smartcards, memory devices, and battery indicators, and E Ink made possible the world's first ePaper animated cover, of Esquire magazine last year. "Combining E Ink and PVI creates a single public company that is dedicated to electronic paper," said Russ Wilcox, co-founder, President and CEO of E Ink Corp. "With a common ownership structure, we can get closer to customers around the world, streamline the supply chain, and speed up new product development." Those developments are bound to include touchscreens. PVI has been on a mission to corner the e-paper market, from its acquisition in 2005 of Philips Electronics' ePaper business to ongoing investements in driver chips, transistors and, yes, touch-sensitive panels. Analyst iSuppli expects the e-book market to grow from 1.1 million units in 2008 to 20 million units in 2012, with the global market worth over $3 billion (£1.8 billion) by 2013.